1960's Char wig with bangs. 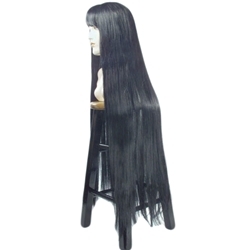 The wig features an elastic band for a comfortable and secure fit to almost any head size and is available in black only. Cher's iconic long hair look from the 1960's with bangs.